Around this time every year, I like to see what blog posts you enjoyed the most and compare them to my favorites. There are always a few surprises but definitely some that I agree with (I’m glad you like cookies as much as I do!). 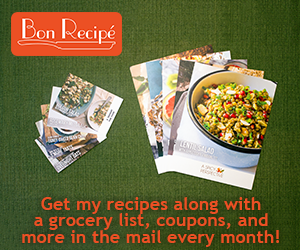 Scroll down to see the most popular posts of 2013 and take a look at which recipes I loved the most. 10. Cookie Butter and Salted Caramel Cookie Sandwiches -I ate these out of the freezer, they were that good, can’t say I’m surprised they made the list! 9. Red Velvet Cupcakes with Blueberry Cream Cheese Icing –I loved how pretty these cupcakes were. Plus the cupcake itself had the best texture! 8. Big Chewy Sweet and Salty Peanut Butter Cookies – You can also see the video for making these cookies here! 7. (Fresh) Cranberry Chocolate Chunk Brown Butter Cookies – These were a huge hit in real life as well. 6. 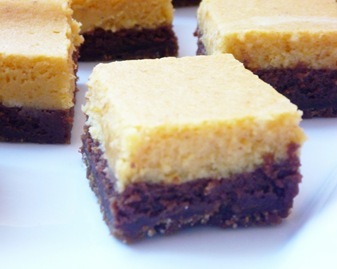 Sweet and Salty Candy Bar Blondies -You can personalize these blondies based on the candy you have on hand. 5. Peanut Butter Cup Heath Bar Brown Butter Cookies – You love candy and brown butter, and I love you for it. 4. Pumpkin Chocolate Cheesecake Bars – I first posted this recipe three years ago! The photos are not good but the recipe is a winner. I made them for Thanksgiving this year. 3. Easy Low Fat Pumpkin Sheet Cake – Sometimes a box mix is the way to go. Easiest cake ever. 2. Mixed Berry Sauce – This sauce was good but I’m always surprised at how popular it is. Go and figure! 1. 22 Easy Dessert Recipes that Make You Seem Like a Pro – These were super popular in 2012 as well. 10. Blackberry, Peach and Pistachio Crisp (Gluten-free) – This was a really easy weeknight dessert and perfect for a summer get together. Swap the fruits based on the season. 9. Sweet & Salty Party Cookies (with caramel corn!) – I just loved this cookie. 8. Pistachio Cupcakes with Brown Sugar Buttercream – I made these cupcakes for my dad’s birthday and he definitely approved. When I brought some for a girl’s night they were an enormous hit. 7. Chocolate Chip Cream Cheese Pound Cake with Whipped Chocolate Ganache – This cake is definitely a splurge but it is so good for a special occasion. 6. Fluffernutter Chocolate Cake – Another cake mix special. The frosting makes it. 6. Lollie’s Blueberry Pie – The sentiment behind this pie is half of why I love it. Plus it tastes amazing. 4. Pink Champagne Cake Pops – I was so excited about these photos and the magazine feature. The thing is, the cake pops also tasted amazing. 3. Vanilla Bean Apple Bundt Cake with Vanilla Bean Caramel Sauce – Matt has not stopped talking about this cake since I made it. 2. Graham Cracker Cookies With Toasted Pumpkin Marshmallow Filling – These cookies did not get the attention they deserved. The filling was unreal and the graham cracker cookies were chewy and delicious. 1. Caramelized White Chocolate Truffle Pumpkin Cupcakes – My love affair with caramelized white chocolate started here. These cupcakes are one of the best things I ate in 2013. Happy New Year, everyone! Cheers to a 2014 full of many, many delicious sweets! I loved those cranberry cookies! I don’t know how you were able to choose between these…I would have wanted to pick them all! What a delicious year Laurne!! Here’s to a sweet and tasty 2014! I can see why these were favorites. They all look so good. I’d have a hard time picking my absolute #1. Thank you for sharing, and happy New Year! Delicious as always! It was so nice to meet you this past year. Happy new year! These all look amazing! I still really need to try this caramelized white chocolate…looks epic! Those cookie sandwiches look crazy delicious! Yum!